What is Armagnac? Armagnac is France's oldest and finest brandy - often described as the "brandy the French keep for themselves." A distilled grape brandy, it is a favorite of connoisseurs the world over due to its intense aromas, rich complex flavors and tremendous length. All Armagnac is produced in the Gascony region France, an area that is known for superb French gastronomy. 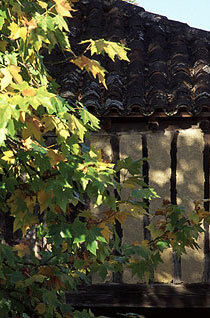 Gascony is located southeast of Bordeaux, nestled in the shadows of the Pyrenees mountains. The rolling countryside of Gascony has been referred to as the "French Tuscany" and reflects the diverse nature of its agricultural heritage. 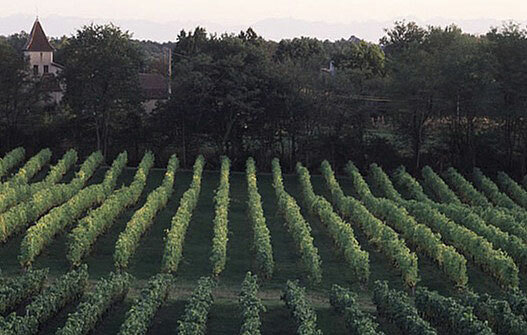 Vineyards and grain fields share the landside with forests of oak and ducks and geese outnumber people. On a clear day the Pyrenees mountains are visible to the south, while ancient fortified bastide towns dot the hilltops unchanged by the passage of time. Armagnac was first developed for its therapeutic virtues as the result of a unique intersection of East and West. Romans introduced the vines and Arabs contributed the alambic (still). "This spirit," wrote Master Vital Dufour, Prior of Eauze, in a Latin medical treatise of 1310, "when taken medically and soberly, has 40 virtues." "It sharpens the mind when taken in moderation, brings the past to memory, makes man joyous above all, preserves youth and delays senility..."
By the fifteenth century this water that burns "aygue ardente" was a common product in local Gascon markets. However, it was not until the sixteenth and seventeenth centuries that its production expanded and quality improved. Stored in wooden barrels for shipping, the beneficial qualities of aging in oak were discovered and world markets slowly came to know and appreciate the "velvet flame" of Armagnac. 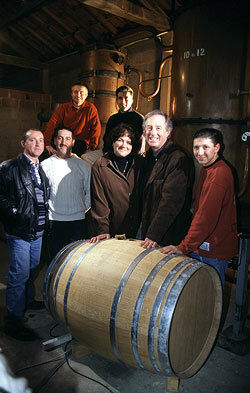 Armagnac is made by distilling white wine to produce a clear spirit ("eau de vie"), which is then aged in oak barrels. 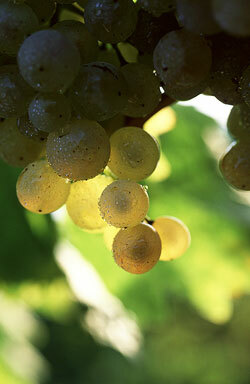 The primary grape varieties used to produce Armagnac are Baco, Ugni Blanc, Folle Blanche and Colombard. After the grapes are harvested, typically in September, and pressed, the juice is fermented to produce a white wine with a low alcohol and high acidic content. The wine is subsequently distilled to make an "eau-de-vie," which is then placed in oak barrels where it is aged until it is bottled. How does Terroir impact the Armagnac? 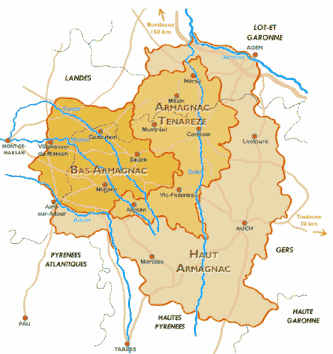 All Armagnac is produced within an area officially designated by the French government as Appellation d'Origine Controlee (AOC) that has three distinct sub regions &dash; the Bas-Armagnac, Tenareze and Haut-Armagnac. 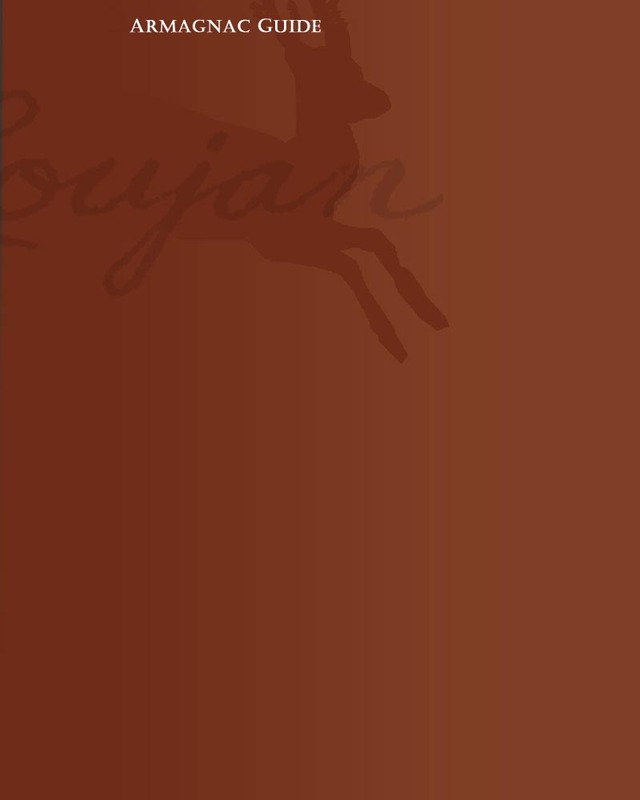 The "Grand Bas Armagnac," the most highly respected area where Domaine Loujan is located, has no official standing and is comprised of a small sliver of land on the far west portion of the Bas Armagnac. There are several reasons why this specific area &dash; the "Grand Bas-Armagnac" &dash;produces such extraordinary Armagnac. 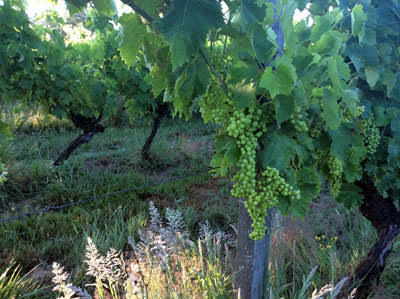 The climate, with its mild sunny autumns, is ideal for the ripening grapes. And it is blessed by gentle breezes and moisture from the Atlantic Ocean, while the nearby forests form a natural barrier regulating both temperature and precipitation and creating a unique microclimate.. Equally important is the wonderful tawny sandy soils so perfect for producing outstanding spirits. The region was once part of a deep ocean channel which left deposits of sand and marine sediment above the clay layers. While most plants thrive on a rich, clay-based soil, vines flourish in sandy soil. These sandy soils drain and heat quickly and produce grapes with the higher acidity levels required to produce the very finest Armagnac. How do grape varieties impact the Armagnac? 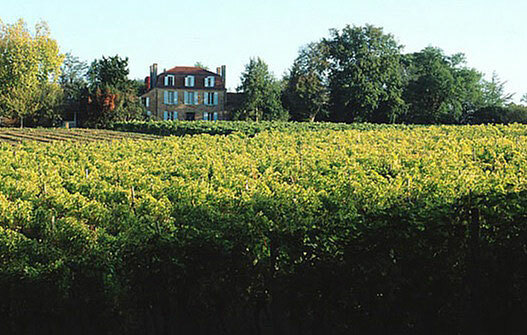 The major grape varieties in the Bas Armagnac region are Baco, Ugni Blanc, Folle Blanche and Colombard. Prior to the late 1800's, Folle Blanche was the primary grape variety grown to produce Armagnac. However, nearly all the Folle Blanche vines in Armagnac were destroyed by the phylloxera epidemic at the end of the nineteenth century. Armagnac made from Folle Blanche tends to mature early and have a light, fine texture with a fresh and fruity flavor and floral aromatics. It is sometimes described as having feminine characteristics. Baco is a hybrid variety that was developed by a local teacher named Francois Baco from Folle Blanche and Noah, an American grape, and has produced much of the very finest Armagnac over the last century. The spirit produced by Baco develops more slowly, but at maturity produces a rich, full bodied and complex flavor with a bouquet that typically suggests dried fruit. It is typically described as having more masculine traits. Ugni Blanc, the grape used to produce essentially all Cognac, is less powerful than Baco and less aromatic than Folle Blanche, but provides structure and tends to accentuate the spice flavors from the oak barrels. It is rarely used alone in making the finer Armagnacs but performs an important role in blending with the other more dominant grapes. 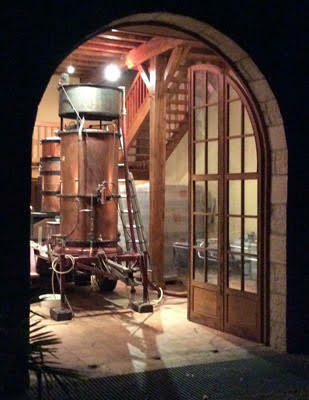 Colombard is also sometimes used to make Armagnac, although it is more commonly used to make a local white wine. 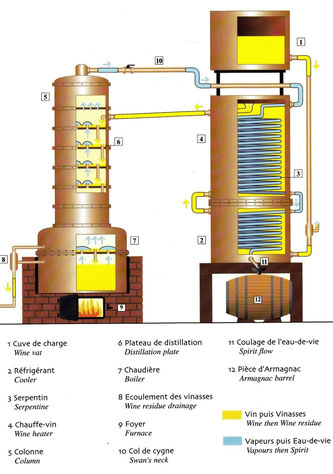 The objective of all distillation is to heat wine until it produces steam, capture the flavorants in that steam in a pure and unaltered fashion, and then convert the steam to a liquid spirit called "eau de vie." Armagnac is traditionally distilled a single time in a continuous still known as an alambic armagnacais. 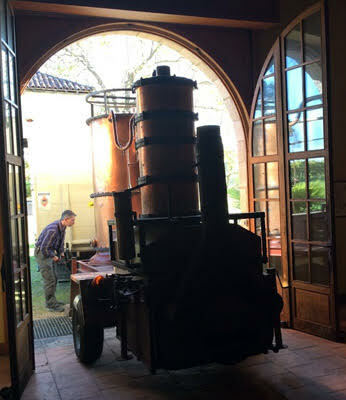 These ancient copper stills — ungainly copper contraptions that are frequently mounted on wheels and can be seen on the country roads throughout Gascony in the fall and winter as the "distillateurs" go from vineyard to vineyard distilling each vineyard's production at the domaine — retain many of the flavorants and aromatics that other stills eliminate. 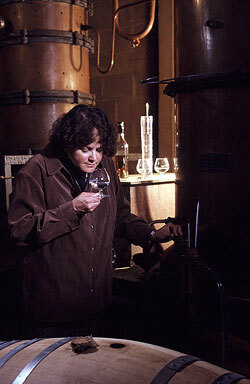 The distillation of Armagnac is both science and art. Under the watchful eye of the distillateur, the wine enters the alambic and warms slowly as it rises through a column intersected with copper coils containing the cooling eau de vie. When it reaches the top of the first column the wine passes into the main column where it cascades down through a number of artfully constructed plates. As it reaches the bottom of the main column, it begins to evaporate due to the carefully maintained high temperature. The rising alcoholic vapors are thereby forced into contact with the incoming wine enhancing the fruit elements so dramatic in Armagnac. As the enhanced vapors reach the top of the main column they flow into the coils where they cool as they descend through the first column, thereby warming the incoming wine and completing the magical cycle of a continuous still. The use of the single distillation process to distill Armagnac is one of the most important factors in setting Armagnac apart from other brandies. Double-distillation is typically used to produce Cognac, calvados, whiskey and other spirits. Although more time consuming and requiring more aging than spirits produced with the double — distillation process, the single distillation process used to produce Armagnac results in a lower alcohol content which retains more of the wine's aromas and character. As a comparison, Armagnac is typically distilled to 54-58% alcohol whereas all Cognac is required to be distilled to more than 70% alcohol. This difference accounts for greater complexity and fuller-bodied taste of mature Armagnac. Distilling to a lower degree also eliminates the need to dilute the final product with the addition of water thereby permitting certain Armagnacs, particularly the older Armagnacs, to be bottled at cask strength through a natural process as a result of the evaporation of the alcohol that occurs while the Armagnac ages in the barrel. The eau-de-vie goes directly from the alambic to barrels made from French oak until it matures many years later. The oak trees used for making barrels are typically 100 - 150 years old and only approximately 10% of the wood of each tree can be cut into staves to be used for barrels. Once the staves are properly dried, they are planed and assembled into a barrel holding 400 - 440 liters of spirit. The barrels are held together solely by metal hoops; no nails or glue are used. The cooper frequently stimulates the sweet components of the barrel by toasting the inside of the barrel with a slow burning fire. This toasting plays a critical role in the development of fine Armagnac as it gives color to the spirit and activates the vanilla scents and other flavors in the wood that ultimately give such wonderful nuances to the mature Armagnac. How does Armagnac evolve as it ages? Armagnac is clear in color as it comes out of the alambic and goes to the barrel. Slowly the oak does its work as it imparts tannin and the spirit begins taking on a golden hue. As the Armagnac ages, evaporation occurs. This loss is referred to as the angel's share ("part d'ange"), and generally results in the loss of 1-2% per year. If the Armagnac is aged in a chai with sufficient humidity the alcohol will evaporate more quickly than the remaining spirits which slowly lowers the degree of alcohol without any dilution. Ideally, the Armagnac is monitored to make sure that it is transferred from the new barrels to older barrels at the optimum time. These older barrels provide a more neutral home for the Armagnac. During this stage, the color will continue to darken, albeit more slowly, and the aromatic flavors derived from the wood become increasingly integrated with the fruit. By the time the Armagnac has aged 8 - 12 years, it typically has acquired an attractive amber color, the fruit aromas have intensified, and the natural sweetness has become evident. As the aging process continues, normally from 12 - 25 years, preserved fruit flavors arrive, the spirit becomes richer and more complex and the finish lengthens. Many consider this to be the optimum period of aging for fine Armagnac, although, as with the very best wines, each spirit will age differently according to its individual character. How to enjoy Armagnac? The first goal of tasting Armagnac is pleasure, so it is important not to become so focused on the "techniques of tasting" that they distract from the enjoyment of this unique experience. While Armagnac is most commonly served as a digestif following the evening meal, it can be enjoyed at any time of the day. It is important to remember that when one first tastes Armagnac, the heat of the alcohol can be strong on the nose and briefly anaesthetizes the taste buds and masks the flavor. At this stage oxygen is Armagnac's best friend, so it is important to allow your Armagnac to breath. Sipping it slowly greatly enhances the experience. Relax and enjoy, a good Armagnac will conjure up all the wonderful qualities of Gascony — its people, its traditions, and its legends. The first impression of an Armagnac is its color. Look for a beautiful golden amber color that is pleasing to the eye. Note also the clarity and intensity of the color. Armagnac is intensely aromatic, a fact most people find one of its most pleasing characteristics. But don't stick your nose right in the glass and inhale deeply as you will singe your nose with the powerful alcohol esters. It is far better to hold the glass for a bit and let the fragrances waft out and you will discover that the aromas are as diverse as they are intense. Some of the most common aromas are fruit (ripe, dried and preserved orange, prune, quince, apricot, apple, pear), spices (vanilla, cocoa, cinnamon, mint, pepper), toasted (coffee, coconut, tobacco, leather), almond and hazelnuts, wood (oak, cedar, hickory), herbal (fern, mint, jasmine, tea) and floral (dried flowers). Swirling the Armagnac lightly in the glass to aerate it will emphasize the aromas but one should never artificially heat Armagnac. While it is a pleasant ritual to warm the glass with one's hand, remember that heating the Armagnac increases the release of alcohol and often causes the alcohol aromas to surface before those of the fruit. Tasting an Armagnac is a very personal experience with several different aspects. Sip it delicately, particularly at first, as the alcohol may be a little strong initially. The second tasting is much more flavorful. The remarkable amount of fruit a good Armagnac possesses is truly magical. There are several other aspects to one's enjoyment of fine Armagnac, all difficult to describe with the written language. Armagnacs differ, for example, in weight and texture &dash; they differ from light to medium and full bodied and can be chosen according to one's individual preferences. But, as Francis Darroze has often emphasized, "The important thing when tasting these brandies is — the roundness in your mouth." Armagnacs also differ in intensity, but all fine Armagnacs exhibit a remarkable richness and complexity. And the best Armagnacs reflect a balance and finesse, a complex equilibrium between the fruit, alcohol and tannin. Finally, there is the finish, which is to many one of the most enjoyable parts of the Armagnac experience. Good Armagnacs have a lengthy finish. The finish begins after you have swallowed the Armagnac and it tells you much about the purity of the Armagnac, its concentration and balance. It is one's final impression of the Armagnac and ideally leaves the taster with a pleasant reminder of all that has gone before. What glassware is best for Armagnac? The brandy snifter is the most common glassware used for Armagnac. However, more recently the advantages of using a tulip shaped glass have been recognized. Ideally, whatever glass is used, it should not be too large and should taper in at the top to concentrate the aromas. How should Armagnac be stored? Unlike wine, once Armagnac enters the bottle it stops evolving and may be stored indefinitely. Thus, no matter how long you wait to open that special bottle of Armagnac, the liquid in the bottle will not change. However, because alcohol attacks the cork, Armagnac should always be stored in an upright position. How to read Armagnac labels? Armagnac labels are generally very similar to wine labels, but there are a few differences. The most notable difference is typically the age statement on the label. According to the governing rules for Armagnac a "V.S."  has been aged for a minimum of two years, a "V.S.O.P.," "VO," "Reserve," or "Reserve Speciale" for at least five years and a "Napoleon," "X.O.," "Vielle Reserve" or "Extra" six years. An "Hors d'age Armagnac" has spent at least 10 years in the cask. To avoid confusing nomenclature, some Armagnacs are now labeled to indicate the youngest spirit in the bottle. Thus, if a bottle is age labeled "10" or "20" years, one is guaranteed that the youngest spirit in the bottle was aged in oak for no less than the number of years indicated. Vintage labeled Armagnacs identifying a specific year must contain spirit made from grapes harvested exclusively during the year indicated on the label. To be labeled "Bas-Armagnac," the bottle must contain only spirit made from grapes grown and distilled in the Bas—Armagnac region. A bottle labeled "Armagnac" can contain grapes grown or distilled in any of the three Armagnac regions. How do Armagnacs and Cognacs differ? While Armagnac is the older of the two brandies, the isolation of the Armagnac region and the lack of access to a seaport took it on a much different historical path than Cognac. Cognac capitalized early on its geographical advantages and profited greatly from international trade, particularly with the British and Dutch markets. As a result, a handful of Cognac houses grew dramatically and established recognized brand names in the international markets. It is claimed that the annual output of each of the large Cognac houses dwarfs the entire output of Armagnac and it is said that Cognac's losses through evaporation are nearly four times greater than Armagnac's entire production each year. Due to its lack of comparable access to the international markets, Armagnac historically has been consumed primarily in France and that pattern continues to this day. For example, it is reported that while one bottle of Armagnac is sold in France for every three bottles of Cognac, in the United States the ratio is approximately one to 225. To this day Armagnac remains a craft industry with small, artisanal producers using historic production methods and little or no advertising or international marketing. As a result it is often said that "Armagnac is not the best known but it is known by the best." However one characterizes the differences between these two brandies, they are significant and readily explained by the different grape varieties, terroir, and distillation process. Armagnac is produced from several different grape varieties — primarily Baco, Folle Blanche and Ugni Blanc--grown in sandy soil and warm temperature. Cognac is produced almost exclusively from Ugni Blanc, grown in chalky soil with mild temperatures. Armagnac is single-distilled to a low per cent alcohol (54-58%) while Cognac is double-distilled to a much higher per cent of alcohol (70% or higher). Many of the best Armagnacs are marketed at their natural cask strength, while Cognac is almost always reduced to 40% alcohol by the addition of water. In terms of taste, Armagnac is typically richer and fuller bodied and shows more primary fruit. It is dominated by dried fruit flavors (orange, plum, quince and apricot), with hints of vanilla, leather, almonds, and hickory, while Cognac's fruit is lighter and more floral. The interaction of Armagnac with the oak barrels typically produces flavors emphasizing vanilla, caramel, toffee, bourbon and pepper; in Cognac it more commonly produces spice and herbal notes. Armagnac is normally more aromatic with smoky and earthy overtones whereas cognac's aromas are more muted due to the dilution from adding water. And while the better Armagnacs emphasize the differences between vineyards and vintages, the large Cognac houses typically blend spirits from a variety of sources to achieve a consistent product from year to year. While much mystery remains regarding the early history of Armagnac, it is clear that it was developed for medicinal purposes. A treatise dated in 1441 describes more than 30 medicinal uses of Armagnac and another early treatise recognized Armagnac as "an elixir of life." In recent years there has been increasing attention to the so—called "French Paradox," referring to the fact that although the French consume far more saturated animal fat than Americans do, they experience much lower rates of coronary heart disease than Americans. Numerous worldwide studies have documented the fact that moderate drinkers of alcoholic beverages, particularly red wine, have a lower incidence of a variety of diseases than nondrinkers. What is less well known is the fact that the area in Southwestern France where Armagnac consumption is the greatest has a coronary mortality rate that is much lower that the rest of France and a recent study by Professor Nicholas Moore, a researcher at the University of Bordeaux, documented that consuming Armagnac helped prevent blood clots. ARMAGNAC: The Definitive Guide to France's Premier Brandy, by Charles Neal (1998; Flame Grape Press, 710 8th Avenue, San Francisco, CA 94118 USA) (English). LE GUIDE DE L'AMATEUR D'ARMAGNAC, by Fernand Cousteaux and Pierre Casamayor (1985; Daniel Briand-Robert Laffont, 5, Rue Saint-Pantaleon, Toulouse, France) (French).